The Coast Salish word, Cowichan means Land Warmed by the Sun, an apt title for this dairyland and wine country that enjoys a Mediterranean-like micro-climate and more sun than anywhere else in Canada. Only an hour's drive north of Victoria, this Valley includes several distinct regions: Shawnigan Lake, Cobble Hill, Duncan, Cowichan Bay, Maple Bay, Chemainus and Cowichan Lake. And each, despite its vicinity to the other, is as different as the next. Just 3 miles west of Mill Bay, Shawnigan Lake is a popular summer cottage community and home to a thriving arts and crafts community. Day trippers from the southern island enjoy the area for everything from sunbathing to fishing. It's worth the short paddle out to the peaceful little picnic destination that is Memory Island Provincial Park, but more active adventurers can enjoy the trail system of Koksilah or West Shawnigan Lake Provincial Parks. For something truly unique, hike out to the abandoned Kinsol Trestle in the Koksilah River Valley - one of the highest wooden trestle bridges in the world! Just 7 kilometers north of Shawnigan Lake Road, Cobble Hill is a small farming village that has hung onto its past with pride. Quarry Regional Wilderness Park served as a feature location for the motion picture, Little Women. 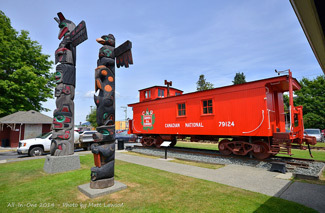 Numerous historical sites abound through the area, including the post office, bakery and market. Not surprisingly, it is home to Vancouver Island's most authentic country fair, held on the fourth Saturday each August -- a family experience not to be missed! Cobble Hill is also home to a fine array of art galleries, boutiques and antique shops. 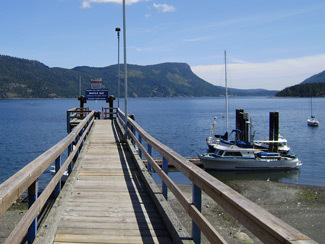 Maple Bay is a pebbled-beach harbourside community just ten minutes from Duncan with a beautiful marina and yacht club that features a full chandlery, restaurant and pub. Not surprisingly, all things ocean are the central motif of this neighbourhood. Not only is the area popular with canoers, kayakers and fishermen, but also scuba divers who flock to what was once one of Jacques Cousteau's favourite diving spots in the world! Maple Bay also hosts the Wooden Boat Festival and boating enthusiasts' Chris Craft Rendezvous. A small town that evolved out of industry, nearby Chemainus is most popular for two things: plays and paintings. Chemainus Theatre, with its professional company, enjoys country-wide notoriety while the stunning murals (that cover everything from sides of buildings to fire hydrants) enhance the town's magical reputation on an even larger scale. 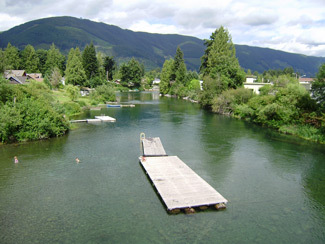 Just west, Cowichan Lake, one of the largest bodies of water on Vancouver Island, is home to the idyllic communities of Youbou, Honeymoon Bay, Caycuse, Mesachie Lake and the town of Lake Cowichan - a favourite summer lake getaway for folks from all over the Island. 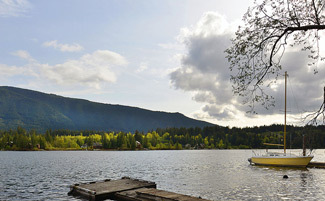 Almost adjacent to Duncan on the Island's East coast, nestles the postcard-perfect community of Cowichan Bay. This sleepy little fishing village-turned vacation spot is about as picturesque as you could expect - many a misty weekend mornings finds locals leisurely leaving their houseboats in light aluminum craft to set their crab pots out in the glittering bay. And if that's not enough, just up the hill are some of the area's nicest vineyards. The region's average yearly temperature of 12 degrees Celsius is responsible for some of the loveliest wine in the entire province. The Vancouver Island Wine Route starts in the south of the Valley at Mill Bay with the Merridale Estate Cidery then moves north through Cobble Hill and the Cowichan Bay area to Cherry Point Vineyards. Some of the tours here rival those of the California's Napa Valley. We've discovered that life does have a sunnier side. It's just a little ways up a little island on Canada's West Coast.